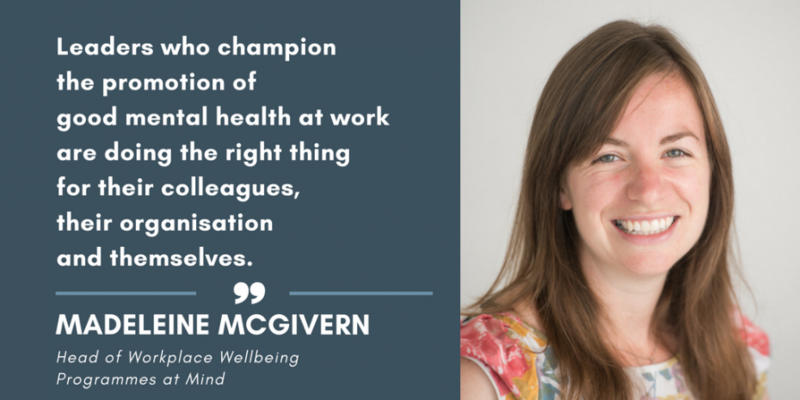 Since joining Mind Madeleine has led the direction and delivery of Mind’s funded campaigns and programmes to ensure mentally healthy workplaces for all. 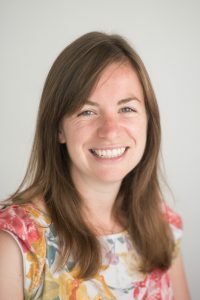 Madeleine is responsible for the strategic direction of Mind’s externally funded programmes, and works with a wide range of employers, HR audiences and Government supporting them on mental health in the workplace. This specifically involves leading the work of the Time to Change Employer Programme to tackle stigma and discrimination in workplaces across England, and the Blue light Programme – a government funded programme working to support the mental health of emergency services staff and personnel. She works with Mind’s Chief Executive on the UK Government commissioned Stevenson Farmer independent review ‘Thriving at Work’ and leads on the delivery of the Heads Together Programme, funded by the Royal Foundation, as well as regularly acting as a spokesperson for Mind on workplace wellbeing in the media and at events. She previously worked as a Human Rights monitor, and worked for Christian Aid- an international development charity- delivering humanitarian and development programmes in the Middle East. She is a Trustee of human rights charity The Amos Trust. Mental health at work is everybody’s business. We all have mental health, just like we have physical health, and in order to be at our happiest and most productive at work, we need to be fit and well. This means looking after our minds, as well as our bodies, and ensuring that those of us in leadership positions lead the way in encouraging everyone in our organisations to do the same. Earlier this year we released research which found that one in five women say their job is the reason for their poor mental health and two in five women (43 per cent) have taken time off for poor mental health at some point in their career. Despite this, only two in five women (38 per cent) feel the culture in their organisation makes it possible to speak openly about their mental health problems. Being able to talk about mental health at work really matters if people are going to be supported to be well, thrive at work, and if necessary, get the support they need. If we don’t get this right, the consequences can be life-changing for both women and men Women are twice as likely to experience anxiety as men. Suicide is the biggest killer of men under 50. Workforce culture, influenced by staff demographics including gender, is key to employers ensure good workplace mental health. If we are to successfully support both women and men at work to have good mental health, we must learn from good practice, recognising potential differences and adaption required in our approaches. As well as the human cost, there is a huge financial cost to business, to the economy and to our society, with poor mental health at work costing employers between £33 and £42 billion a year. So how do we, as women, and women in leadership roles, get this right for ourselves and the people around us? Whether you’re a manager, senior leader, or just starting out there are some things you can do to make a real practical difference in your workplace. Ensure you have senior management buy-in and leadership on workplace mental health- make sure your policies reflect good practice and have a proper organisational wide plan to promote good mental health at work. Talk about mental health and raise awareness – the more we talk, the more we break down the stigma attached to mental health. This makes it easier for people to have conversations about their mental health and ask for help if they need it. Train your managers – good managers should build confidence in staff and encourage them to reach their potential whilst also being able to spot signs that people might be struggling and have appropriate conversations about this. Lead by example – real leaders are role models and display the behaviour that they encourage their staff to adopt – so think twice before hitting the send button on that late-night email! Tackle the root causes – there are lots of causes of mental health problems but those that relate to work (such as a toxic working environment) need to be addressed. Harness the power of your people –1 in 4 people in the UK will experience a mental health problem each year. If people at work are prepared to share their experiences, and show how normal experiencing poor mental health can be, it can make a world of difference to everyone else. Communicate the support available – lots of organisations provide brilliant support for their staff already but people don’t know about it. Make sure they do. Women have a real chance to make real changes and a real difference to the debate on workplace mental health. Leaders who champion the promotion of good mental health at work are doing the right thing for their colleagues, their organisation and themselves. Because, after all, mental health at work is everybody’s business. Madeleine McGivern, for the EVE webmagazine.